G.W. Reynolds III takes his readers deep into the South Georgia woods where he introduces the members of the Roads End hunting camp. These North Florida fathers, sons, brothers, and cousins traditionally gather at the camp on the first weekend of hunting season. 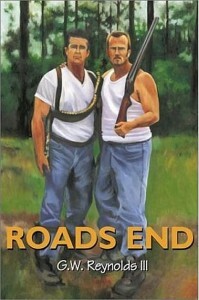 This entry was posted in Bestseller, Books, Fiction and tagged G.W. Reynolds III on March 29, 2013 by webmaster.